The combined challenges of dodgy internet service, navigating a WordPress website, and procrastination over actually finishing any of my blog posts has resulted in more snippets on Instagram and Facebook than newsletters. However, these acupuncture trips have been a gift and I really do want to acknowledge that, along with the importance of all those who have generously made donations, the continued encouragement of my friends and family, and all of you who helped to make my Guatemalan shirt business such a success this summer (the proceeds of which help cover the cost of these volunteer trips). Your support has reached many people. Also, my current life would not be possible without the visionaries who put in the hard graft of establishing and administrating inspiring non-profit organizations that I could volunteer for. In 2017, these included Project Buena Vista in the Manu Biosphere Reserve in the Peruvian jungle, DESEA in the Peruvian Andes, and Acupuncture Relief Project in Nepal. It really has been a privilege to meet and work with so many different patients, to be accepted in out of the way communities, to see this branch of medicine embraced and it’s value recognized, and to have the opportunity to collaborate with other amazing health care professionals. 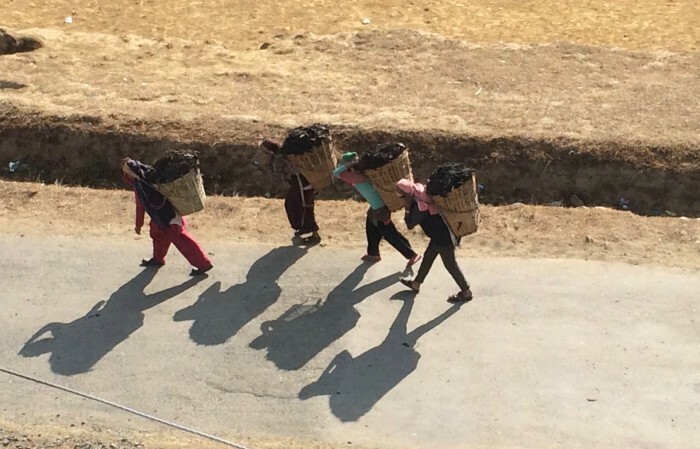 Below is something that I wrote about my last visit to Nepal. 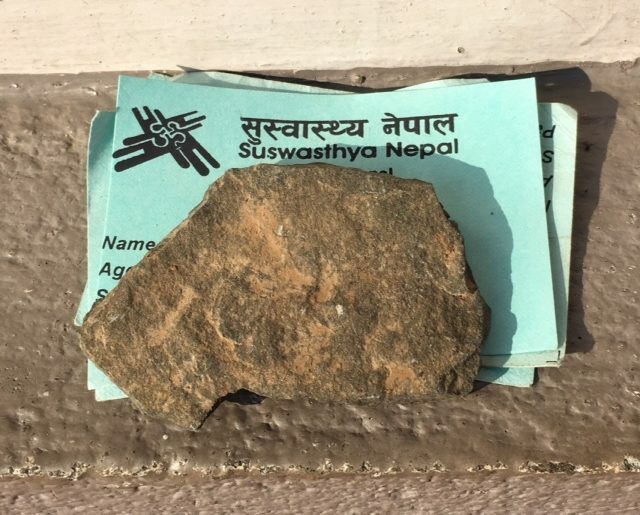 Patients come on a first come, first served basis, often arriving a little before 6am, slipping their appointment cards under a designated stone on the reception window sill. Many will have taken several hours to get to the clinic then may have to wait for some time to be seen, but time has a different value here and we get few complaints. This different concept of time can manifest in many ways. A patient will often postpone their follow up appointments in order to celebrate a new moon or a festival. 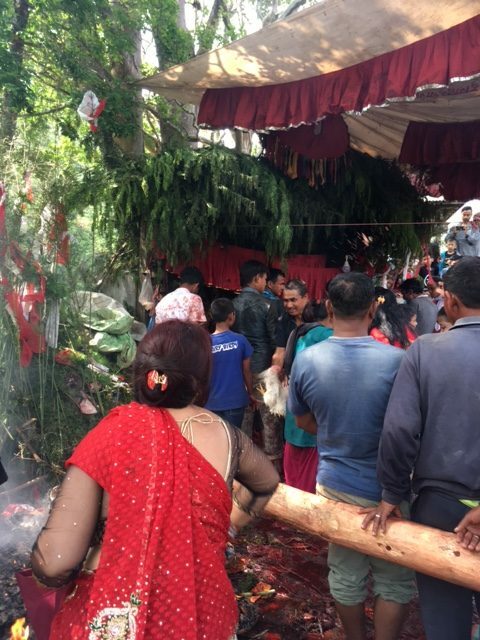 Between all the different ethnic groups that make up Nepal, there are more holidays celebrated here than there are days of the year, but neither intolerable pain nor life-threatening conditions are allowed to interfere with these occasions, or the intense periods of preparation and ritual often involved. 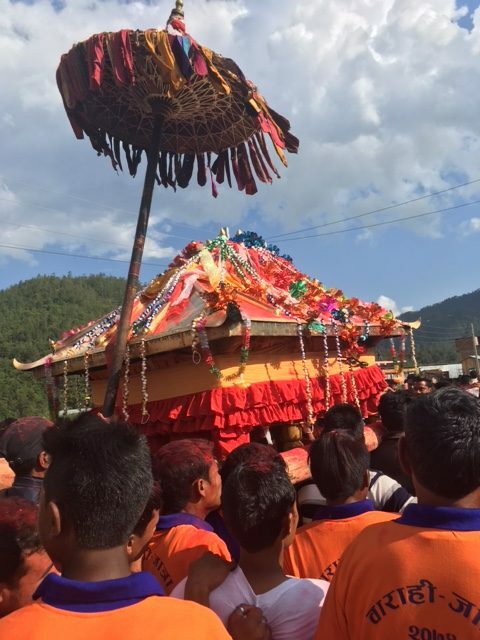 My last visit coincided with the riotous celebration of Jatra, the local three-day festival that occurs every third year in honour of the goddess, Bajra Barahi, whom our village is named after. The festival is to ensure good crops for the following three years, and every possible tactic is implemented. 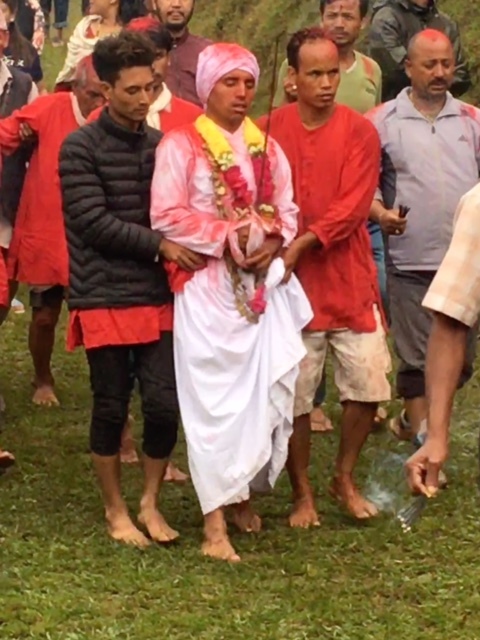 Tumultuous processions to the temple involve vibrating holy men carried in settles, sacrificial goats, buffalos, and chickens, specially brewed alcohol, and prostrating pilgrims measuring their length with bystanders throwing offerings of rice, tikka powder and petals in their path. The playing field facing the clinic was transformed into a dizzying carnival of fairground stalls alternating with vendors of sweet, sticky snacks and knick-knacks. Weaving in between these crowds, a continuous stream of villagers led their sacrificial livestock down to the temple below, accompanied by the sound of drums and horn instruments, whose wails would drift in through our windows from morning to night. 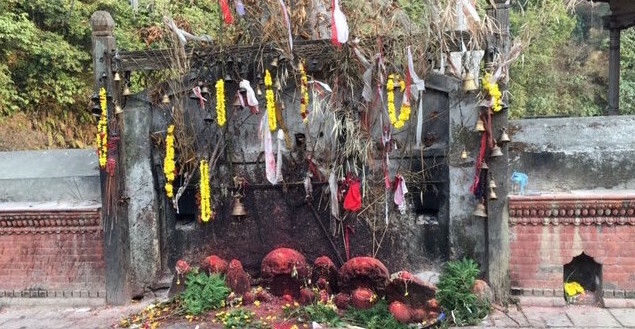 The atmosphere at the temple itself was a heady blend of incense, heat and smoke from fires, chanting, bells, all culminating around the juniper-decked shrine where sacrifices were made. It was a sight to behold. Offerings are a big thing here. The rustle of cellophane emanating from a pocket as clothing is removed is usually a good indicator that candies will shortly be handed out as freely as blessings. The clinic kitchen constantly overflows with fresh produce, homemade popcorn, and local delicacies brought in by our generous agrarian patients. This particular type of greens was a favorite. 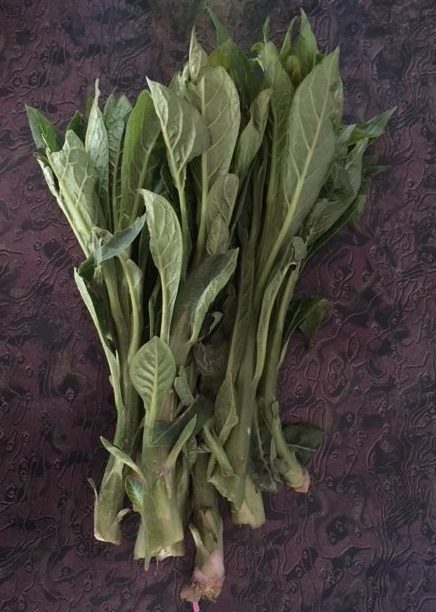 Traditionally only found in the Nepali calendar month from which it takes it’s name, it is highly prized. 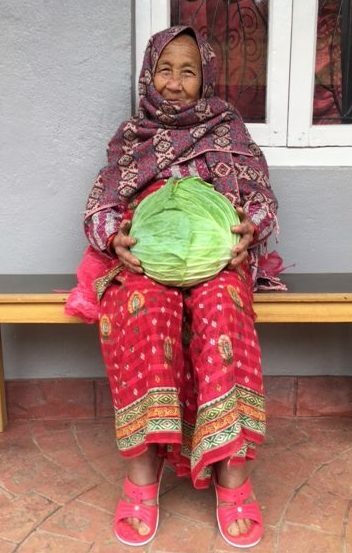 This patient arrived at 7.30 in the morning having walked for 2 hours in heavy rain and apologized for not being able to carry a second cabbage (the first was already one of the biggest I have ever seen and the patient one of the tiniest). to rest, but also study, and process our clinic experiences. Although it is generally pain that brings people into the clinic, we are effectively primary care providers and each day is like an episode of House where we have to sift through a head-spinning array of symptoms, trying to differentiate between the medically serious and the curious. Most of our patients aren’t used to talking about their symptoms so it can take a few treatments to unravel what is really going on, but at the same time, as any emergency would entail a 4-hour +/- bumpy jeep ride to Kathmandu for those fortunate enough to live near a road and transport, we need to be mindful that nothing should reach that stage. Unfortunately, our ability to properly assess the patients House-style is hampered by the difficulty in persuading them to go for diagnostic tests if it involves traveling anywhere by vehicle. This can all be quite nerve-wracking for us as their care providers, but many of our patients seem more comfortable with the idea of potentially fatal illnesses than car-sickness, or even just the difficulties of navigating the few public transport options on their own. I thrive on the work here. It challenges me in a way that I probably won’t find anywhere else. There are so many pieces to the puzzle and Chinese medicine skills are just a part of it; family dynamics, cultural differences, the patient’s own fears or beliefs, even something as basic as getting the patient to eat or drink enough can dictate the success or failure of our treatments. Tactics such as placing cavalier blood pressure patients next to stroke patients, or stroke patients next to other stroke patients, allows the sharing of stories and encouragement that can be pivotal to the success of a treatment. Being part of a team, being able to share and discuss our case stories, relieves some of the pressure and helps us to work out how to do our best. The rewards can be amazing however. While we track the incremental improvements as we go along, it is often only when closing out with patients that we come to understand our impact here – the number of patients who are now able to return to work, to take care of their families, to have less fear for their health, stroke patients that are able to get back on their feet and regain degrees of independence. There are many NGOs doing amazing work but both the vision of ARP and the warmth of this community has an allure that makes it hard for me to stay away. The project continues to grow and mature. In 2017, the main clinic ran for 10 months, allowing for more consistent patient care and employment for the staff. Satyamohan, previously an ARP interpreter and now a graduate from the acupuncture school in Kathmandu, rejoined the clinic as an acupuncturist, hopefully the first of many. 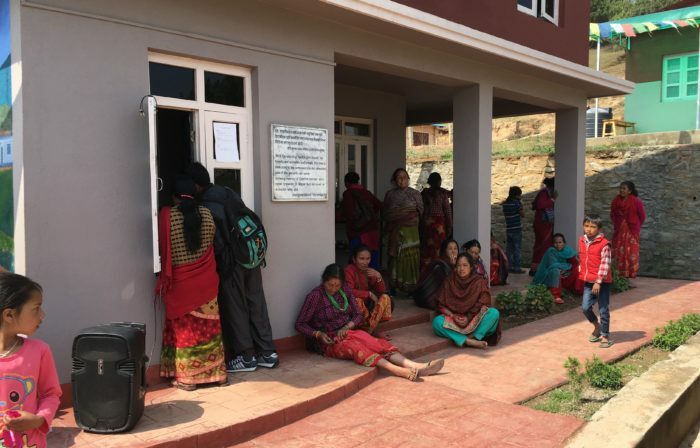 The ongoing support and continuing education classes provided for the incoming practitioners, Nepali interns, and interpreters give everyone the opportunity to step up their game, to best serve both this patient population, and ultimately, all future patients. Being able to be a part of this is an opportunity that I truly treasure. 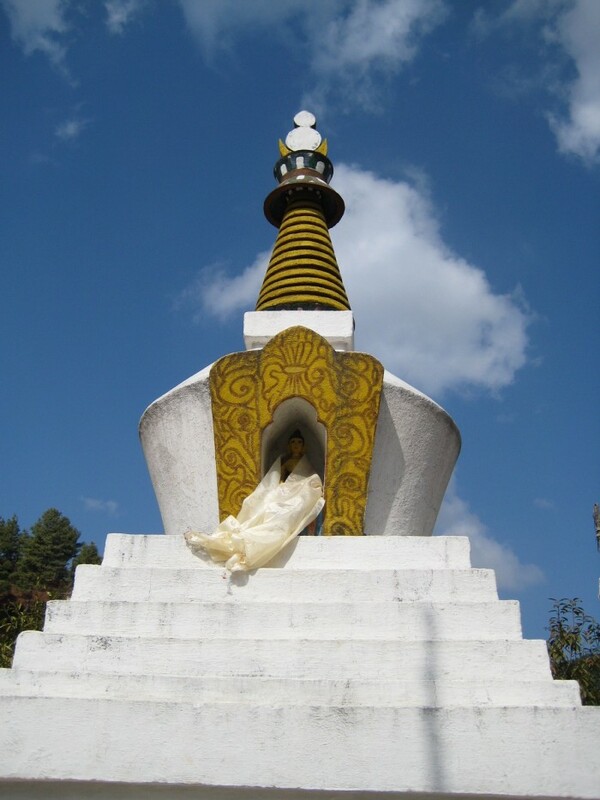 I am now back in Nepal working with ARP until May. As part of my ongoing commitment to the project, I hope to raise $4,000 to support their work and cover clinic costs. If you would like to know more about Acupuncture Relief Project or feel you can support our work by making a tax-deductible donation, please click here. In just a couple of weeks, I will leave for my second medical mission to Nepal. 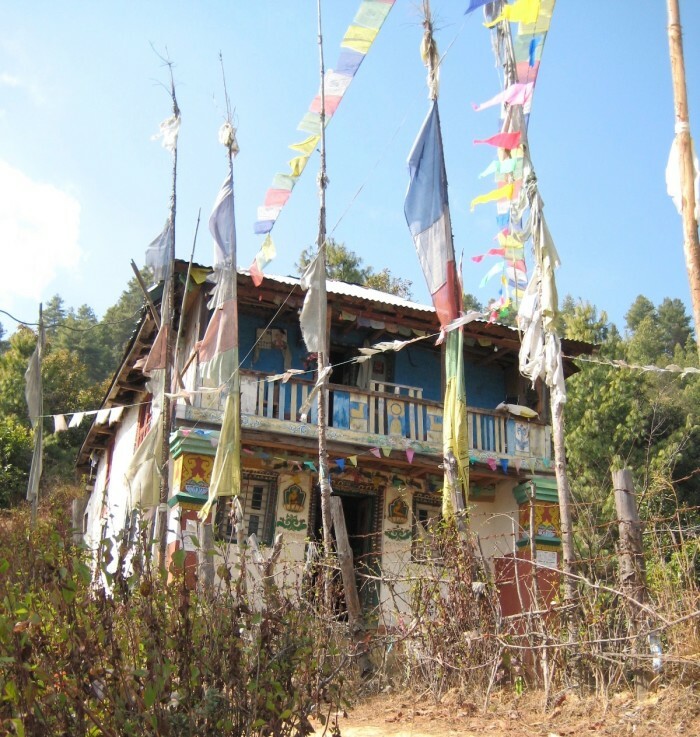 This time, I will be leading a small team of new practitioners and interpreters in the rural village of Bimphedi, not far from the village that I volunteered in earlier this year. I’m beyond excited to return and work again with both the people and Acupuncture Relief Project. Not only does ARP provide free primary healthcare to many hundreds of people who would otherwise have very limited options but it also provides meaningful jobs and support for the local Nepalese interpreters and clinic staff in a country where unemployment is pushing 40% and many young people have to travel to the Middle East to find work. The ARP clinic also provides internship opportunities for students from the acupuncture school that opened in Kathmandu just a few years ago and the first generation of graduates will start working in the Bajra Barahi clinic this September. 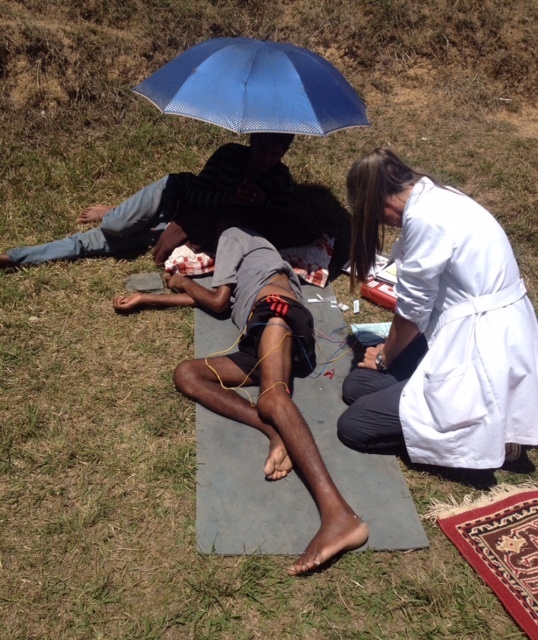 Furthermore, the dedicated and compassionate young group of interpreters that we worked alongside in the last camp have all been accepted to start at the acupuncture school in September, which can only happen with ARPs support. This is where the magic happens, in being able to in some way facilitate these deserving young people to become the talented professionals that these clinics need to continue full time and expand. 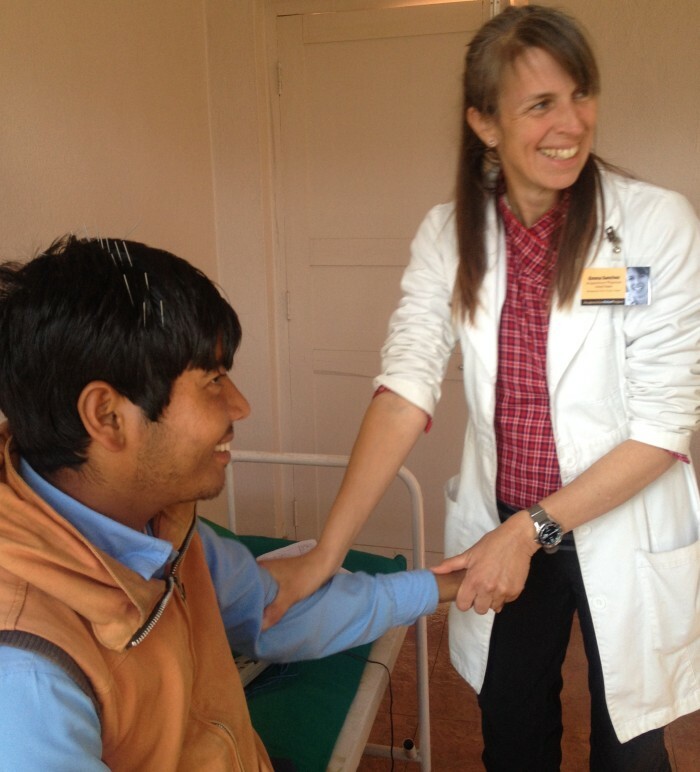 By participating in this program, my contribution extends beyond the patients that I will treat. The $3000 that I am raising not only covers airfare, board, lodging and medical supplies for the six plus weeks that I am in the clinic but will also the go towards the expenses of the interns and students while they are with us. This is a country with many needs, even before the devastating earthquake and economic blockade of last year, but the Nepalese are stoic, uncomplaining people, eager to share whatever they have. The connection, warmth and generosity that I experienced there was unique, and while it is wonderful to have the chance to serve, I feel that the biggest winner in this situation is myself. To have the opportunity to grow as both a person and practitioner while participating in this community is a privilege that I am incredibly grateful for. A very genuine and heart-felt thank you. I could not do this without the encouragement and support of you all, my friends, patients, and family. Saturday is everyone’s day off, so we have the opportunity to go for a hike, see a bit of the surrounding countryside and get some illuminating insights into the lives of our patients. For many of them, it takes several hours to walk to the clinic and the steepness of the terrain makes the complaints of shortness of breath and “knee pain while climbing up and down” easy to understand. 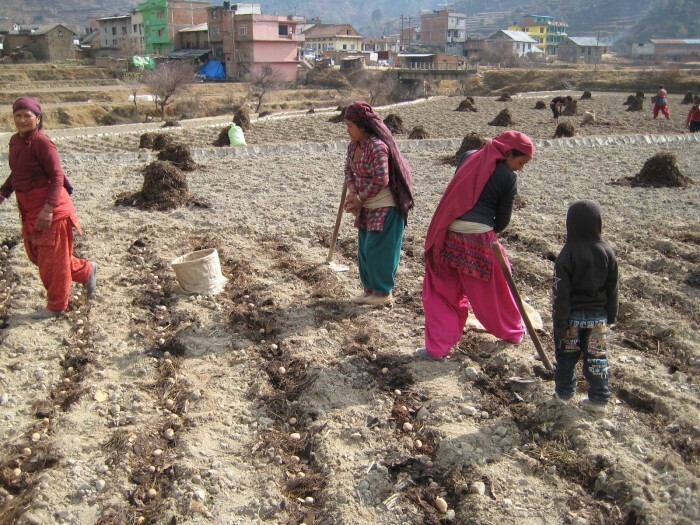 Of course, farmers never truly have a day off, and today the roads and fields were full of locals hustling to get the fields prepared and planted. Large baskets are carried by a strap worn across the top of the head, and this past week they have mostly been laden down with compost. It is easy to see why we see so many patients with neck problems, tingling in the arms, and back pain. The heavy carrying more commonly falls to the women rather than the men and young girls may be tasked with some of the lighter carrying. Saturday is also washing day – both clothes and hair. 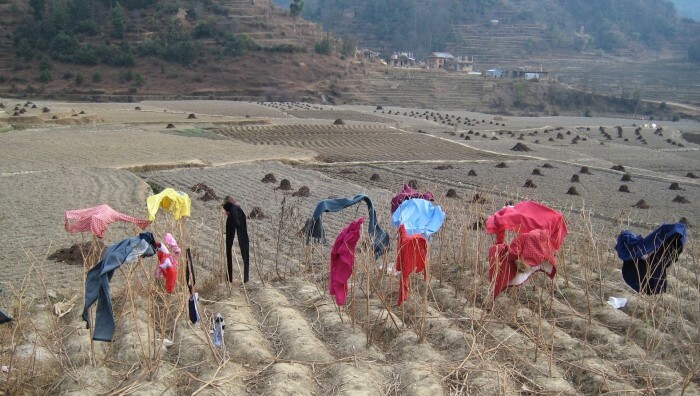 Women and children are busy at the communal spigots and brightly colored garments are draped all about to dry. We combined our hike with a visit to a patient of the clinic who had recently suffered a stroke and was being treated at home by a couple of members of our team. It was a beautiful sunny day and we arrived to find her propped up outside, and that was were she was treated, surrounded by family and animals. She perked up after her treatment, and her weakness and difficulty in speaking did not stop her from inviting us to stay for tea and food. We were keen to continue our hike, but the family would not let us leave without pressing bags of dried mushrooms and freshly popped corn and soy nuts into our hands. The makeshift tent you can see in the background housed the family for the two months following the earthquake. Although their house survived, like many of their neighbors, cracks in the masonry and fear of what the daily multiple aftershocks might do to the structure made living in the tent a safer prospect. While smaller aftershocks continue, most have moved back into their homes however, we have a number of patients still living in tents as their homes were lost or still awaiting repair. The cold makes it hard for them to sleep and exacerbates their joint pain and respiratory issues. Happily munching on the popcorn, we continued onto our destination, a monastery and stupa overlooking the valley, where the lama explained that he had built most of it himself. Firstly, I would like to say an enormous thank you to my patients, friends, and family for their overwhelming support and enthusiasm in my upcoming adventures. As I want to stay in touch with you all but communication options will be limited, starting a blog-newsletter seems to be a good way to share a little bit of the next few months. All comments and emails are welcome to keep the conversation going! 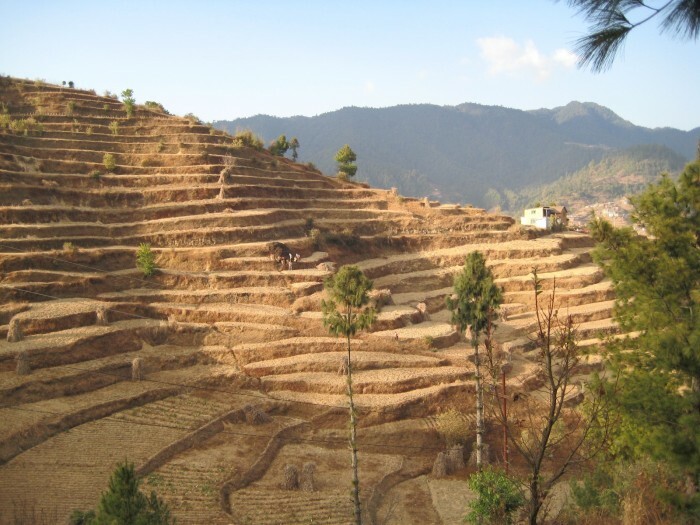 Today I leave for the rural district of Makwanpur, Nepal, as part of a small team working in clinics served by the Acupuncture Relief Project. We will each be seeing between 16-25 patients daily, free of charge over the next seven weeks; there is already a waitlist of 600 people signed up for treatment. While well known for the beauty of the landscape and it’s people, Nepal remains one of the poorest countries in the world. 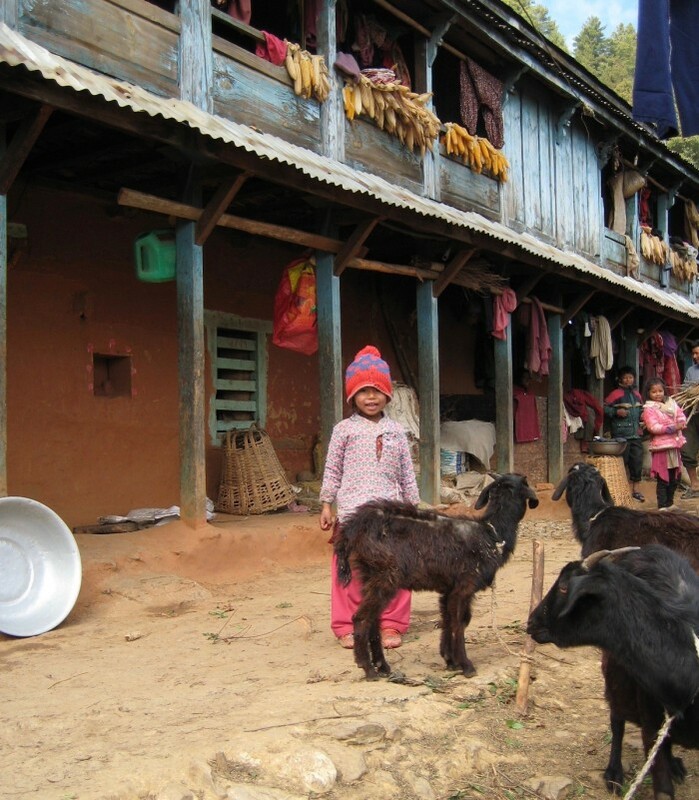 The recent devastating earthquakes and political unrest have only exacerbated the problems. This clinic is the main source of medical care, health education, and diagnostic assessment in an area where many of the patients have never seen a doctor. 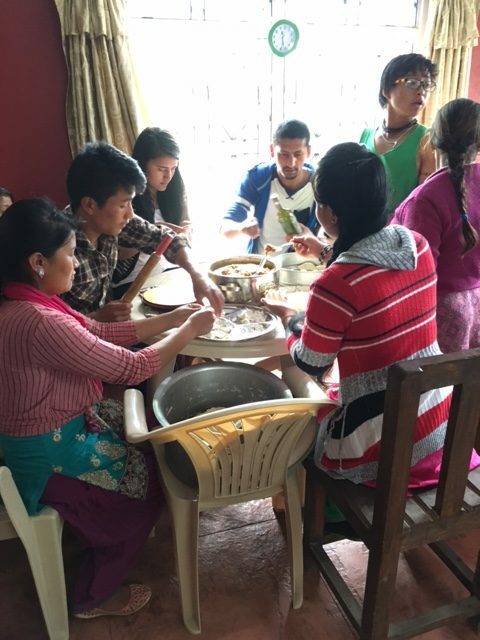 Importantly, Acupuncture Relief Project also provides support to the community through training and employment of interpreters, plus skill sharing and helping to educate a new generation of Nepali healthcare workers. Established in 2008 and committed to working in the area long term to provide a sustainable new model of health care, Acupuncture Relief Project provided nearly 10,000 patient treatments last year alone. There is the potential to reach so many more by following their vision and I feel very fortunate to be able to participate in this fantastic project. $100 will pay for all our clinic expenses for one day – that could mean treatment for 120 people. Thank you all again for your support and all the contributions you have made, in so many different ways, that have enabled me to do this. Posted on January 5, 2016 January 5, 2016 2 Comments on Hello Nepal!